Good Morning to everyone and welcome to my blog today. The weather went from 70 degrees here to 30 degrees with wind and dusting of snow. Brrrr. Time is flying by and I do not have all my Christmas cards made, how about you? This one is a favorite and took me a while to complete. 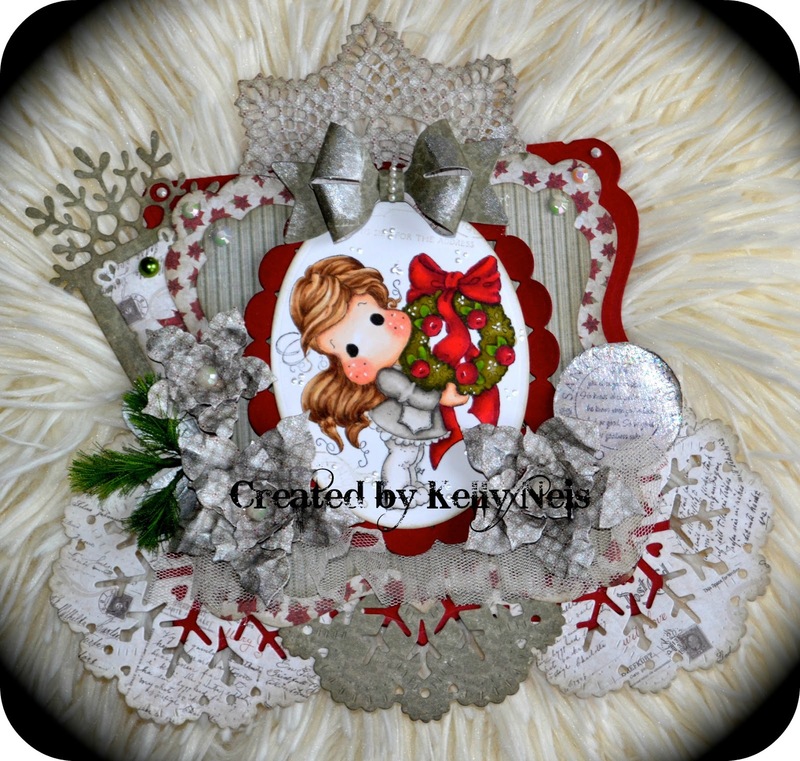 I used Tilda With Apple Wreath and Maja Papers A Gift For You, totally in love with anything Maja. I stamped and distressed the sentiment Santa is Coming to Town and then applied glittered Modge Podge to it. The poinsettia's are Sue Wilson dies and a Prima Pearl inside. Across the bottom I used 3 Wild Rose Studio Snow Doily. 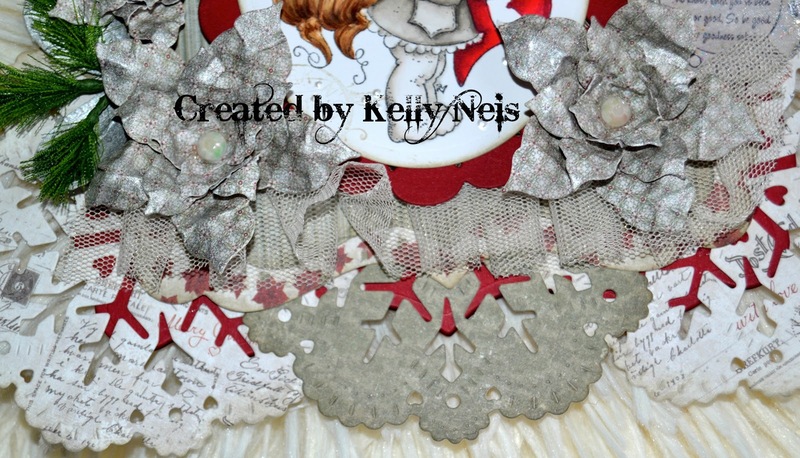 The Magnolia Brides bow and Prima doily dies are at the top. So glad you could stop by today and do not forget to enter my CANDY on my CANDY post here I wish you all luck winning it!! Kelly this is so festively gorgeous. Loving the silver ribbon. Kelly this is a gorgeous Christmas card! Love your coloring and of course your Maja papers. I made one card so far and finally put my tree up yesterday. (you are way ahead of me) Wishing you a Blessed Merry Christmas and a Happy New Year too! Totally gorgeous! Fabulous coloring. Love, Love all your dies and the DP is yummy. Merry Christmas, my friend! Enjoy your family. I am never done making Christmas cards, lol! 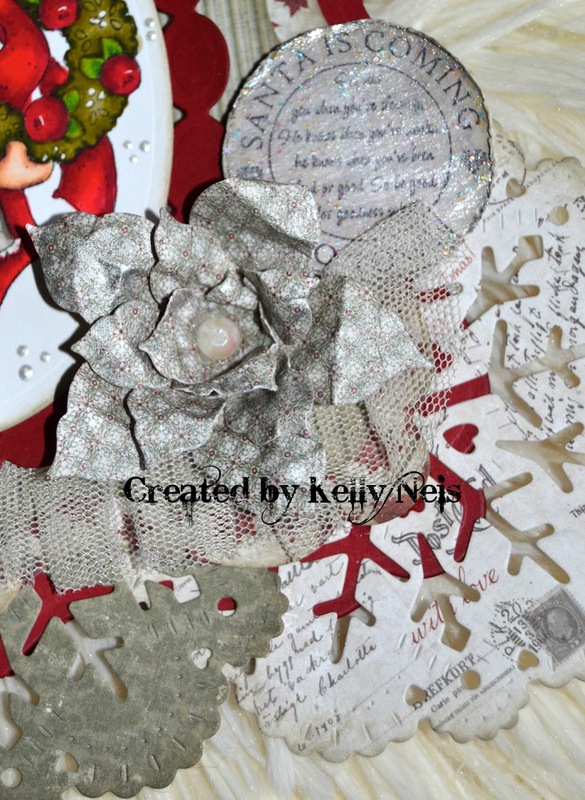 Just beautiful Kelly, pretty Christmas colors and embellies, great coloring and I love the design of your card! Wow ! this is so niiiice ! Love Maja papers too !! Thank you for entering Tildas Town Challenge with this beautiful card, I love it! You are an amazing paper artist. It blows my mind the amount of talent and love that goes into each pretty project. Fab! Wow how STUNNING! The red really Pops and love that Bow! A Gorgeous Card and Beatifully Coloured. Thanks for joining us at Marvelous Magnolia. This is just WOW! So beautiful and your coloring is gorgeous. Love the delicate neutrals allowing the zingy colouring of the image to really shine - this is a beauty, Kelly. 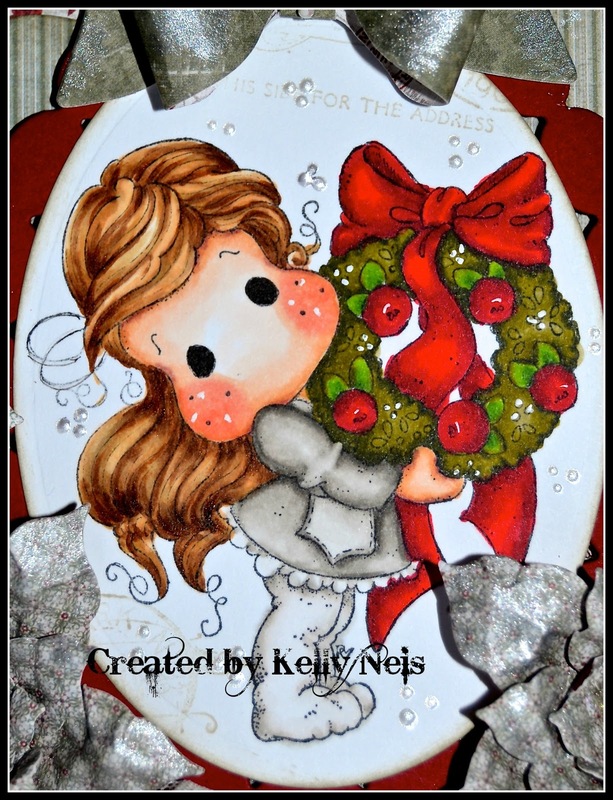 This is gorgeous colouring Kel and a fabulous card. I love the red with grey and you've done a grand job on it.